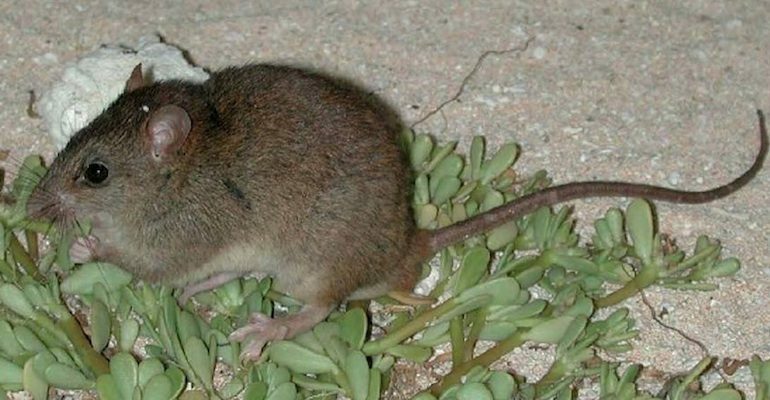 Tucked away on a small island off the coast of Queensland, Australia, the rat-like animal would have stared up at you with dark, beady eyes from the safety of some scattered shrubs. No more than 15 centimeters long, the rodent would have been covered with light red fur, its tiny ears tucked tightly against its head, its pale underbelly barely visible. You would have probably noticed the odd tail, as long as its body and lumpy with scales.